On November 6, the Adrienne Arsht Center’s Parker and Vann Thomson Plaza for the Arts was filled with families, as the first Free Family Fest of the season, sponsored by Blue Cross and Blue Shield of Florida and Miami Dowtown Development Authority,kicked off with a blast of rock music. This marked the third-season launch of a series that has thrilled more than 14,000 children and their families so far. 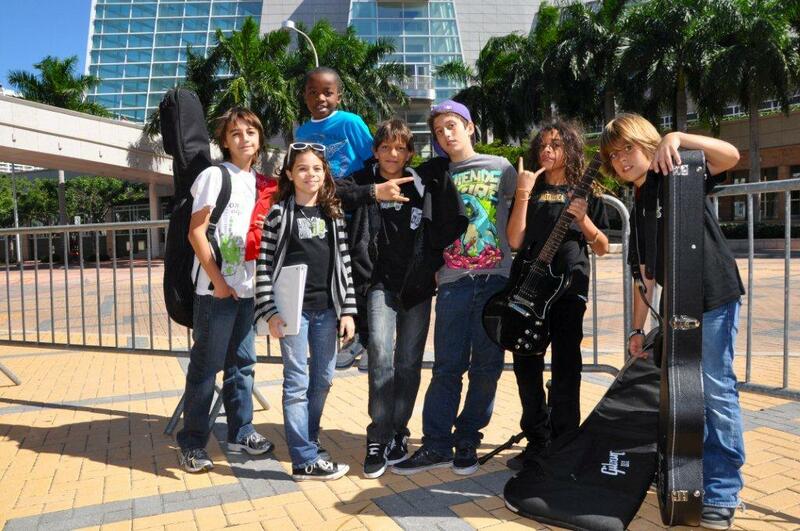 Kids of all ages enjoyed the rock and roll-themed event that featured numerous Miami-based artists. Live! Modern School of Music rocked out on their instruments, The Spanglish Wrangler entertained young audiences on the Plaza stage with his acoustic guitar and bilingual song set, while the Delou African Dance Ensemble amazed the audience with their celebration of traditional African dance, music, and culture. Future Mileys, Britneys, Bonos, and Biebers strolled the grounds of the Adrienne Arsht Center as RockStar FacePainting transformed kids into the rock star of their choice. Kids enjoyed Book Nook-Jack and his Magic Guitar, and they were able to explore and learn about their favorite rock and roll instrument in a hands-on demonstration by Rock N Roll Instrument Discovery Zone. At 2PM, Family Fest fun moved into the Knight Concert Hall for a family-friendly set from 2010 Grammy Award nominee, Milkshake. Singer Lisa Mathews and guitarist Mikel Gehl wowed the excited young audience with their interactive, energetic award-winning music. Lisa Loeb strummed her way into our hearts with her cat-eye glasses and memorable lyrics (“You say, I only hear what I want to, I don’t listen hard, I don’t pay attention to the distance that you’re running to anyone, anywhere…”) and now she’s in our own South Florida backyard, taking Miami by storm! Lisa Loeb at the Adrienne Arsht Center for the premiere of her first musical, Camp Kappawanna. A new mom, Lisa has spent the past few years focusing on kid-friendly music, and on June 17th the Adrienne Arsht Center was proud to host the premiere of her very first full-length musical, CAMP KAPPAWANNA. Lisa came to Miami, baby in tow, to celebrate all things camp, and even sang about it on every morning TV show from NBC to ABC and Deco Drive too! Miami kids got a terrific treat when Lisa joined 200 young people from underserved communities to watch a special preview performance of CAMP KAPPAWANNA, hosted by the Adrienne Arsht Center in partnership with the Children’s Trust. Lisa also sang and signed CDs at the Miami Children’s Museum, and made a memorable mark on Miami when she performed the national anthem at the June 16th Marlin’s game. 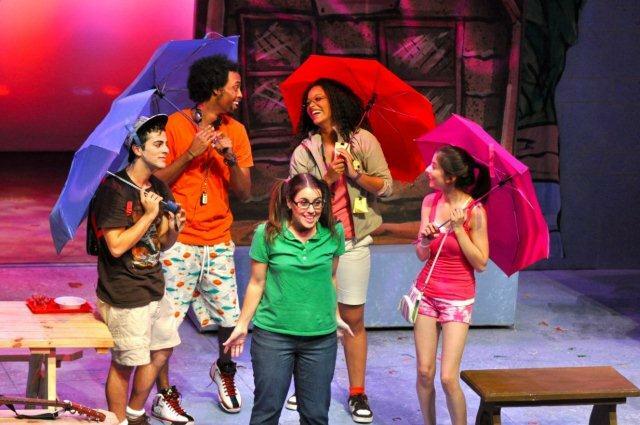 Rainy days at camp, featuring the cast of Camp Kappawanna at the Adrienne Arsht Center. 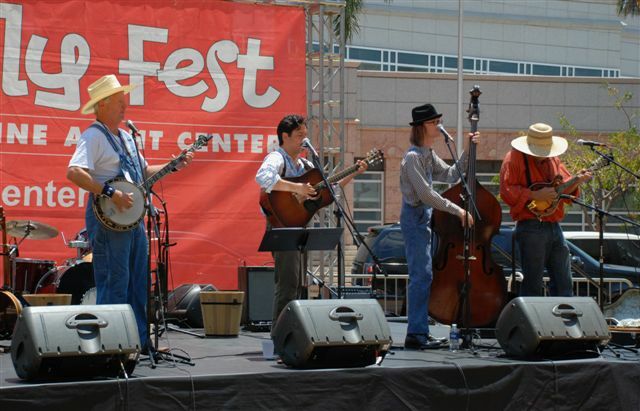 The Adrienne Arsht Center’s final Family Fest of the 09-10 Season was a free afternoon of rock ‘n’roll fun in the Thomson Plaza for the Arts on May 8th. The outdoor performances began with the cast of City Theatre’s Camp Kappawanna, offering a preview of the new family musical that will premiere in the Carnival Studio Theater June 17 – 27 with songs by Grammy-nominated singer/songwriter Lisa Loeb and a script by rising national playwright and South Florida native Marco Ramirez. The outdoor program was rounded out with rock ‘n’ roll hits performed by seven youngsters from Live! Modern School of Music and sing-a-long American folk songs by Matthew Sabatella and the Rambling String Band. In addition to the performances, families got a chance to attend DJ School in the Peacock Foundation Studio, where kids got to try out their spinning and scratching skills on professional DJ tables. The rock ‘n’ roll theme carried over in the Craft Corner where kids designed their own guitars. The ever-popular animal petting zoo and face painting stations rounded out the Plaza activities which also featured LITE FM’s Prize Wheel Giveaway. After the outdoor fun, the crowds moved into the Knight Concert Hall for a free performance of Rock Odyssey, a rock musical style retelling of Homer’s epic The Odyssey in a high-quality, age-appropriate professional production produced by the Adrienne Arsht Center. The Adrienne Arsht Center’s Free Family Fest will be back again next season beginning November 6th with outdoor activities and performances and a free main stage production presented especially for families. 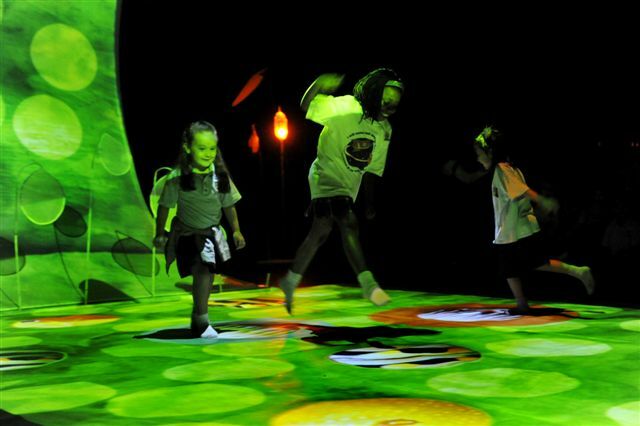 Theater magic combined with computer technology transformed the Carnival Studio Theater into an interactive botanical playground for Miami-Dade County students and community groups. The Italian group Compagnia TPO presented The Butterfly Garden, a work that uses dancers’ movement and gestures to influence and manipulate a larger-than-life environment filled with images and sounds of nature. An accessible, non-verbal performance art piece, this visually stunning work presented contemporary dance in a fun and open format that engaged audiences in a 360 degree environment. 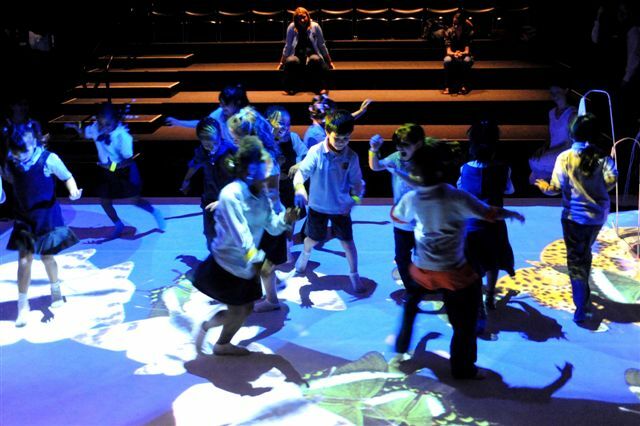 When dancers invited audience members on the stage to be part of the performance, the computer generated images and projection technology encouraged interaction with the lighting, props and sound. Over the course of nine shows in just four days, more than 200 people from local community groups and 657 students and teachers from area schools came to experience The Butterfly Garden. One group of students was able to experience a special interactive session with the TPO dancers in the performance space. TPO week of performances was rounded out with ticketed public performances. Young people and their families got a chance to have their voices heard loud and clear at the Sing, Miami! community sing-along on March 20 at the Peacock Foundation Studio in the Ziff Ballet Opera House. Presented in partnership with the Miami Children’s Chorus, Sing, Miami! was a free event full of music and singing that featured audience participation along with performances by the members of the Miami Children’s Chorus. Music Director, Timothy A. Sharp leads the class. Nearly 200 people learned new songs and belted out old favorites under the direction of Timothy Sharp, the Chorus’ skilled music director. Joining together in song were kids and their families, senior groups, and music teachers from Miami Dade County Public Schools. Timothy A. Sharp, Music Director, Miami Children’s Chorus, leads the audience in a sing-along as part of Sing, Miami! at the Adrienne Arsht Center. 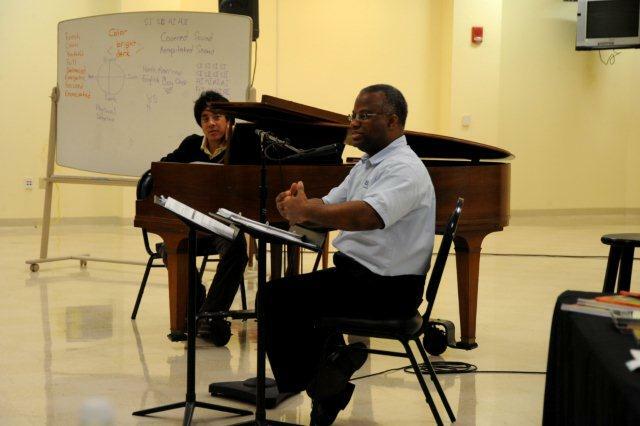 For teachers, the sing-along was the conclusion of a musical morning that began early with a special workshop focusing on choral singing and working with youth. 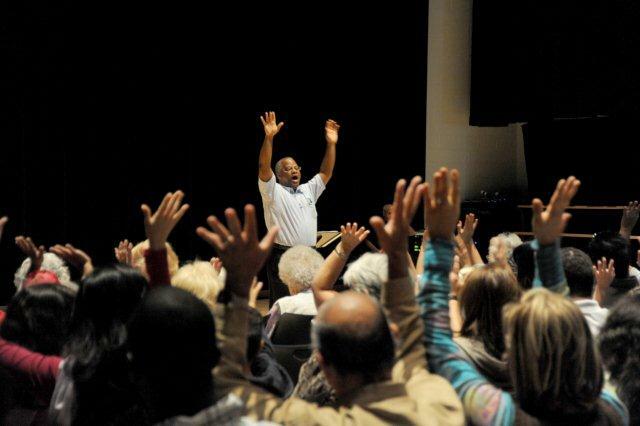 The Adrienne Arsht Center hosts two community sing-alongs a year as part of its family programming, complemented by a teacher training component for educators prior to each show. STUDENTS STEP UP WITH STEP AFRIKA! Performers from Step Afrika! stepped their way into Miami-Dade County Public Schools as part of the Adrienne Arsht Center’s Beyond Boundaries Residency Program. This education initiative brings the finest local, national and internationally known teaching artists into Miami-Dade County Public School classrooms for multiple-day visits that provide an in-depth and multi-faceted exploration of the performing arts. The Washington DC-based Step Afrika!, the first and only professional dance company dedicated to the preservation and promotion of stepping, was in 4 schools the week of March 2nd introducing stepping and promoting higher education to more than 100 student of all ages. Stepping is a unique dance tradition created by African American college students in which the body is used as an instrument to create intricate rhythms and sounds through a combination of footsteps, claps and spoken word. The tradition grew out of the song and dance rituals practiced by historically African American fraternities and sororities in the early 1900’s and comes from a long and rich tradition in African-based communities. Students from Academy of Arts & Minds High School, Booker T. Washington High School, Southwood Middle School, and Holmes Elementary School were taught the basic claps, positions, and rhythms by dance professionals from Step Afrika! in master classes designed especially for students. In addition, Southwood Middle culminated their week of workshops with an in-school lecture demonstration on Friday for 125 students that featured the 30 dance students who had participated in the master classes during the week. Step Afrika! finished up their week in Miami with a free, standing-room-only performance at the Center’s Family Fest on Saturday, March 6th in the Knight Concert Hall. Family Fest is a day of free performances and activities that provide parents opportunites to introduce kids to the arts. Beginning at 11:30 am in the Thomson Plaza for the Arts, the outdoor activities featured performances by local entertainers, a make and take craft, face painting, and lots of fun. At 2 pm the crowds moved to the Knight Concert Hall to witness the 10 member Step Afrika! troupe rock the house with an electrifying performance that included audience participation and a special performance by students from Holmes Elementary. 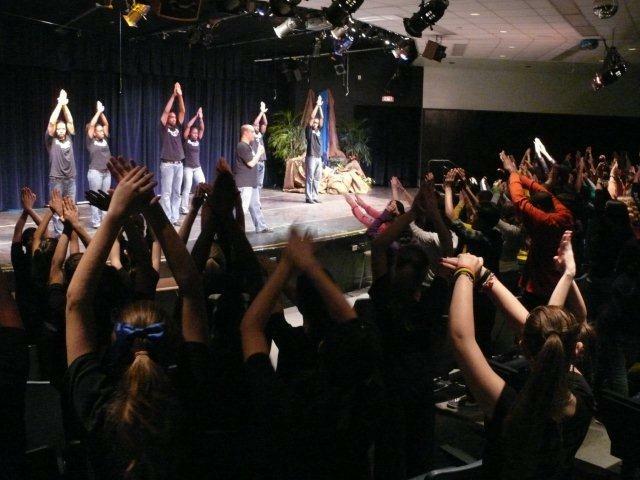 After spending the week with 3 of the company members, students from Holmes opened the Step Afrika! show performing an original step piece that was choreographed by the students with the help of the Step Afrika! teaching artist. The Step Afrika! performance was the culmination of a fabulous week of learning and dancing that brought together more than 2000 people for a stomping good time. 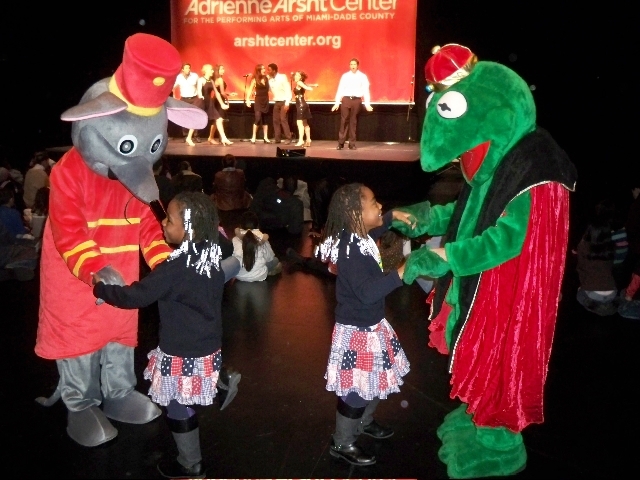 Plunging temperatures and ice cold rain could not keep families away from the Adrienne Arsht Center’s January 9th Family Fest performances and activities. The free family fun was moved inside from its usual home in the Thomson Plaza for the Arts to the Ziff Ballet Opera House. In the Carnival Studio Theater, Family Fest performances included Broadway hits performed by students from the New World School of the Arts high school performing troupe, “The 2010 Connection.” Families were also treated to “Flutesweet and Tickletoon”, a musical duo that present the story of Green Golly, a spin on the fairytale favorite, Rapunzel, that featured kid-friendly renditions of classical music. The performance fun shifted to a family dance party with DJ Sama, who played party favorites that got everyone up on their feet dancing. From the Hokey Pokey to the YMCA to the Cha Cha Slide, the entire room was movin’ and groovin’! 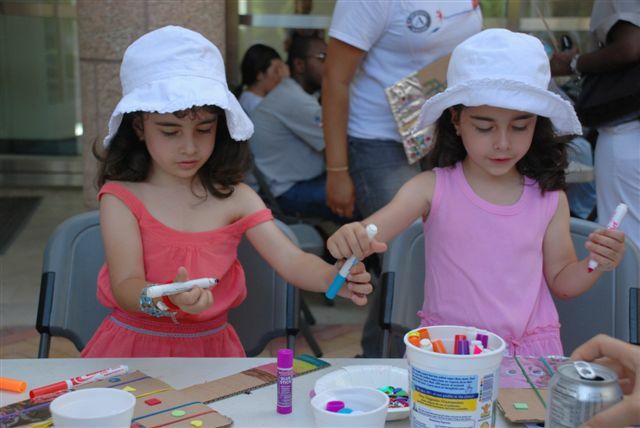 Other activities included a live animal petting zoo set up by MetroZoo and make-and-take craft crowns that were decorated with sequins and jewels. The Family Fest day concluded with a special performance of Cinderella presented by the Miami City Ballet School in the Ziff Ballet Opera House. Over 2100 people filled the theater to watch the timeless tale of Cinderella told through music and dance in this performance that was designed especially for young people to enjoy. 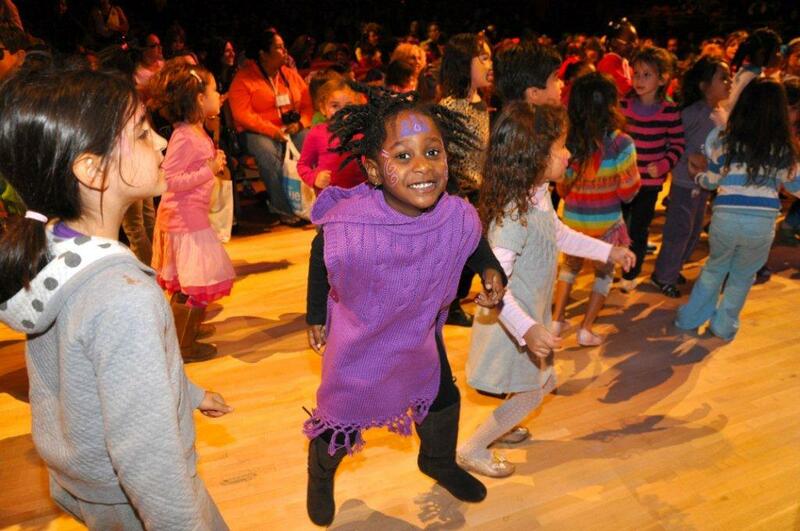 The next Family Fest is March 6th and will feature free outdoor performances and activities beginning at 11:30 am followed by a free percussive dance performance by “Step Afrika!” in the Knight Concert Hall.